Lowerd a inch with full brocks system and all the extras! 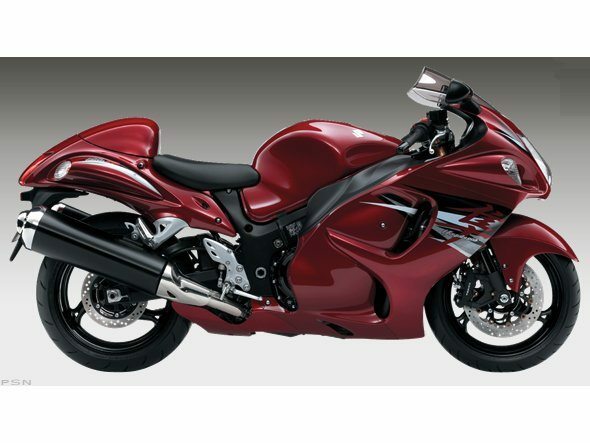 The Suzuki Hayabusa Limited Edition, quite simply, isn't for everyone. With performance credentials that have established it as the most exciting sportbike on the planet, it's designed for serious sport riders who will settle for nothing less than the best. If that's you, and if you choose to ride the Hayabusa, you'll be rewarded with a riding experience you'll never forget. Its combination of unsurpassed power, crisp handling and superb aerodynamics creates the ultimate sport bike. 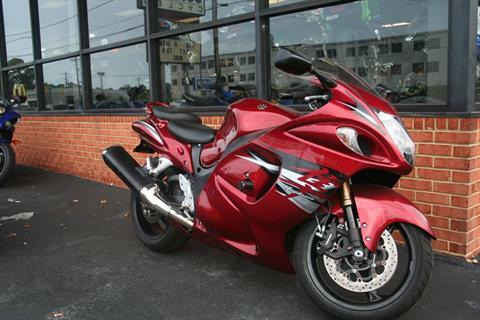 The 2012 Hayabusa Limited Edition is available in new Candy Sonoma Red. A fully adjustable inverted front fork features DLC (Diamond-Like Coating) coated inner tubes. The front suspension offers minimal friction resistance and provides outstanding suspension performance over a variety of riding conditions. Radial-mount front brake calipers offer maximum braking performance and allows for smaller 310 mm front brake rotors resulting in reduced unsprung weight and improved handling. A lightweight single piston rear brake caliper works in conjunction with a 260 mm rear brake disc. The Hayabusa's instrument cluster features four analog meters for speedometer, tachometer, fuel gauge and water temperature with a S-DMS mode indicator, gear position indicator and adjustable engine-rpm indicator. A 1,340cc in-line four-cylinder fuel injected, DOHC liquid-cooled engine with 16-valves and Twin Swirl Combustion Chambers (TSCC) provides phenomenal power. The Hayabusa's engine is fed via Suzuki's SDTV (Suzuki Dual Throttle Valve) fuel injection system with dual 12-hole, fine-spray injectors per cylinder and ram air intake with large volume airbox. The Hayabusa comes with a large volume 4-2-1-2 exhaust system with a large capacity catalyzer, dual triangular canisters and closed loop system. A high efficiency curved radiator features dual electric fans controlled by the ECM for increased cooling capacity. The oil cooler has 10 row cores for increased heat dissipation. An optimized six-speed transmission features oil spray to the 4th, 5th, and 6th gears to reduce wear and mechanical noise during highway cruising. Suzuki Clutch Assist System (SCAS) serves as back-torque-limiting system for smooth downshifts and also contributes to a light clutch pull.